September Board Meeting Minutes | Penrith BID - Improving the economic potential of Penrith, Cumbria. The minutes from the September board meeting have just been published. Take a look to find out what the BID board have been up to on your behalf. 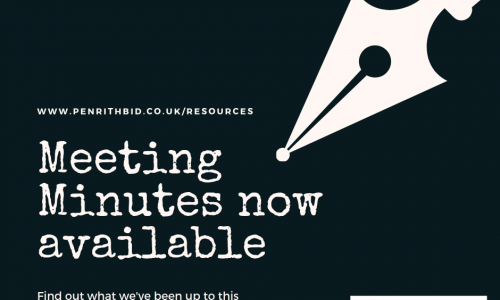 All meeting minutes are published in the ‘Resources’ Section of the website.